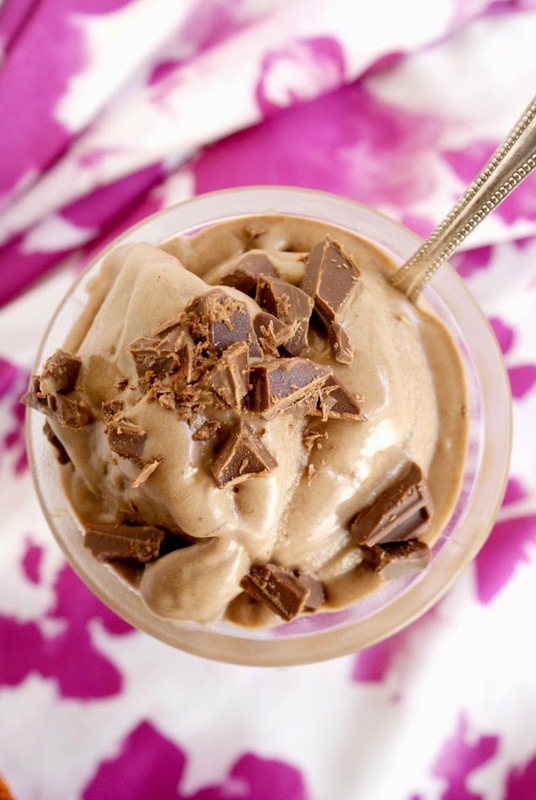 Chocolate Peanut Butter Banana Ice Cream, made with just three clean and simple ingredients, is an indulgent, smooth, creamy and naturally sweet treat. We have a little Mom and Pop grocery store in my town that's just a few minutes from our house. It always feels good to support small businesses, but that's not my favorite thing about shopping there. What I really love about our local grocer is their discount bananas. Yup, bananas. Once the bananas at my store start to get little brown spots on them, they get put in the discount basket at the front of the store. Only 35 cents a pound! For perfectly good, sweet, ripe bananas! When I walk in and see bananas in that basket, I'm like a little kid on Christmas morning. The cashiers look at me like I'm crazy while I fill my cart up with as many as my freezer will hold. I've been known to walk out of there with 15 pounds of bananas. I kid you not. You'll understand why I get so giddy about discount bananas when you try this uber easy to make, guilt-free, smooth and creamy banana ice cream. It's made with just three whole clean ingredients and it is so so delicous! Ripe bananas aren't just for banana bread anymore! You've got to try it! Process the banana chunks for a few minutes, pausing several times to scrape down the sides with a rubber spatula. Add the peanut butter and cocoa pwder and continue processing until smooth and creamy, scraping down the sides again, as necessary. Serve immediately for soft serve-like ice cream, or freeze for later, for a firmer texture. Garnish with whatever you like: sprinkles, chopped nuts, mashed berries, or chocolate chunks (pictured above). *I freeze my bananas whole, peel on. To peel the frozen banana, I cut off the two ends, cut in half cross-wise, the score the length of the banana three times. The frozen banana peel then comes off in nice big chunks!